This 2.0 USB flash drive folds up for easy storage. 2.0 speed. 1GB. Prices change weekly. Email for current pricing. 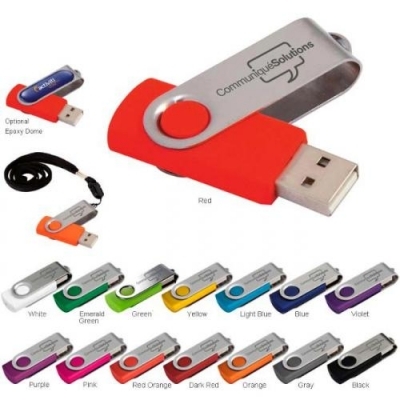 We can put your corporate Logo on this handy USB Flash Drive. Materials: Acrylonitrile butadiene styrene (ABS) plastic, metal. Price Includes: 1-color screen imprint, 1 location.